Welcome to the first installation of our 2016 “Meet the Shortlist” blog series! Throughout National Poetry Month, we’re excited to introduce you to all the poets shortlisted for our book awards: the women shortlisted for our Pat Lowther Memorial Award, the new poets shortlisted for the Gerald Lampert Memorial Award, and the League members shortlisted for our Raymond Souster Award. The winners of these awards will be announced on Saturday, June 18 at a special awards luncheon at the Canadian Writers’ Summit. Visit poets.ca/conference for more details! Find a complete shortlist for all of our awards here. 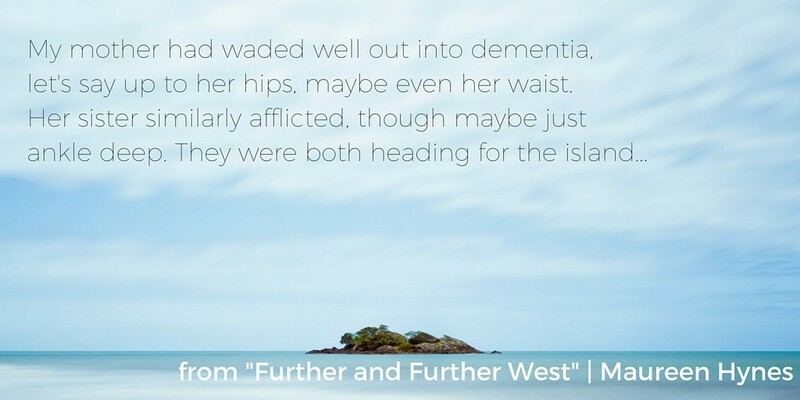 Our first two poets have actually both been shortlisted for TWO of our book awards, the Pat Lowther Memorial Award and the Raymond Souster Award. We were excited to find out more about their writing process and their great shortlisted books, The Wrong Cat and The Poison Colour. 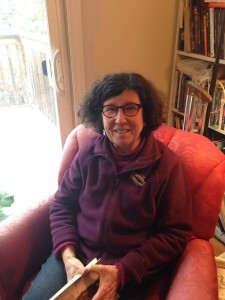 Lorna Crozier is the award-winning author of fifteen previous books of poetry, including Small Mechanics, The Blue Hour of the Day: Selected Poems, and Whetstone. She is also the author of The Book of Marvels: A Compendium of Everyday Things and the memoir Small Beneath the Sky. She is a Professor Emeritus at the University of Victoria and an Officer of the Order of Canada, and she has received three honorary doctorates for her contributions to Canadian Literature. Born in Swift Current, she now lives in British Columbia. What was your favourite part of writing this book? What I love about writing poetry is the fierce attention it requires. 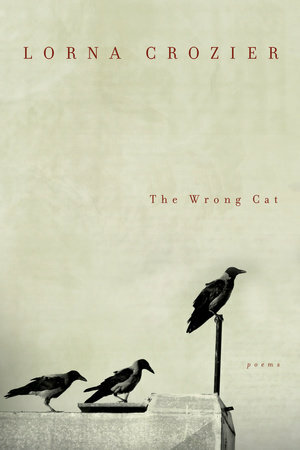 To create a poem, let alone a book of poems, you have to start being aware of the smallest things around you: the way the light falls on the windowsill, the fine hairs sprouting in the cat’s ears, the shape of the fingers on the left hand. Poetry opens the writer’s eyes and makes her see both what’s there and what’s hidden. It’s a privilege being in the world that way. What happens when I drop into this kind of intense seeing and saying means more to me than the finished poem itself. Some of them take years to complete, anyway. What was the hardest part? When you’ve been writing as long as I have it’s essential not to simply produce the same poem over and over again. The hardest part is to articulate the obsessions in a new way and to surprise myself. What creates roadblocks is a loss of faith in myself, the feeling that no one is listening or that I’ve said enough and it’s time to stop. Where did you spend most of your time writing? I work in a bedroom converted to an office in my house. When we moved here, I had a sliding glass door cut into one wall. It overlooks the pond in our garden. It’s the best view I’ve ever had in a working space. From my desk I can see the goldfish, the turtles, the warblers and sparrows in the small maples, the wind turning over the leaves, the water irises, the sunrise. Those are inspirations. What were three major Canadian influences on this book? Literary or otherwise. One of the Canadian influences on my poetry is the weather. It often warms or freezes its way into my poems. Another is the work of fine writers, like my husband’s new book, Washita. I love the long, end-stopped lines, the tone, and the calm, unpretentious wisdom. I also admire how he reinvents himself with each new book. That’s an inspiration for me. Finally, close by are the books of Anne Marie Turza and Stephen Price. The latter’s Omens in the Year of the Ox is leading me into curses. Who is one up-and-coming writer you think everyone should start reading right away? Anne Marie’s The Quiet makes me value the idiosyncratic and the power of the lyric paragraph. She is the one young writer everyone should be following. There’s no one like her. If her first book is this good, I can’t wait for her second. How do you feel being a member of the League has contributed to your professional journey as a poet and writer? The League reminds me, to use Margaret Lawrence’s words, that I’m part of “a tribe.” Writing poetry is lonely, unpaid work. It helps to know there are others as crazy as you involved in the same craft. Maureen Hynes’s first book of poetry, Rough Skin, won the League of Canadian Poets’ Gerald Lampert Award for best first book of poetry by a Canadian. Subsequent collections are Harm’s Way from Brick Books, Marrow, Willow and her most recent, The Poison Colour, both from Pedlar Press. She is a winner of the Petra Kenney Poetry Prize (London, England), and her poems have been included in Best Canadian Poems in English (2010), and twice longlisted for the CBC Canada Reads poetry contest. Maureen is poetry editor for Our Times magazine. What was the hardest part? I think most poets find the very final editing stages a bit gruelling – the work that was once exciting starts to feel stale after so many workings-over. In those moments, I find it challenging to remain true to my own poetic intentions for each poem, and curious about and open to suggestions. Veering between certainty and uncertainty about individual poems: the editing process sharpens that, but also ultimately clarifies. Where did you spend most of your time writing? Because I almost always start poems longhand in a notebook, I write anywhere – cafés, restaurants, public transit, other people’s living rooms, and in the big red armchair in my study. What helps me in getting started is reading poems – I find it moves me onto the “meditative ground” that writing a poem requires, as Don MacKay once said in a workshop. Roadblocks? Overbooking myself, taking on too much, not leaving enough room for the writing I want to do, or discovering what I want to write. What were three major Canadian influences on this book? Literary or otherwise. Oh, dear! 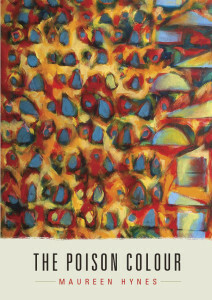 In fact there are many non-Canadian poets who make appearances in The Poison Colour – Louise Glück, Federico Garcia Lorca, Seamus Heaney, Joanne Kyger, Emily Dickinson, Philip Whalen, Lorine Niedecker, Charles Olson, James Schuyler. Some of these I discovered through my own study, but many are from Hoa Nguyen’s classes in Toronto, which have led me to take a more experimental path. A great number of the poems that found their way into this book are products of poetry retreats – Barry Dempster’s in Chile; Gerry Shikatani’s “Lorca’s Granada” in Granada, Spain. 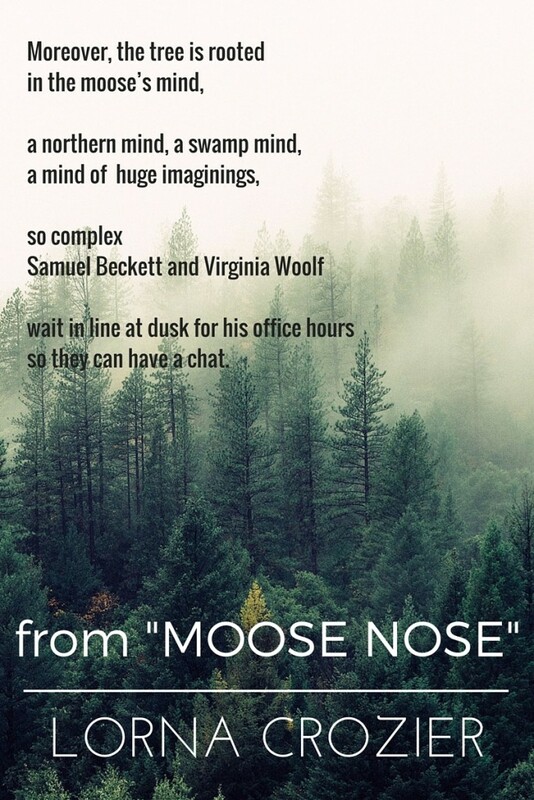 Both of these poets have had a huge and sustaining influence on my poetics, and my practice. Who is one up-and-coming writer you think everyone should start reading right away? Can I give you two? The multi-talented Vivek Shraya, whose new book, Even this page is white, is coming out this spring from Arsenal, and Kim Trainor, whose poetics in Karyotype (Brick, 2015) inspired and moved me enormously. How do you feel being a member of the League has contributed to your professional journey as a poet and writer? Oh, in so many ways – obviously, the funding for readings and sustaining reading series across the country, and the services the League’s wonderful staff provide. Of course the League’s award nominations and awards are of huge importance to individual poets and publishers. And finally, I find that poets are very regionally identified – Ontario poets don’t know the BC or Nova Scotia poetry scenes, so the League is invaluable in bringing us together and strengthening our sense of a national poetic community.